You’ll be responsible for paying your fees. You can either do this in advance, or when you’ve received your invoice, which will be sent to your University email account within a few weeks of the start of your course. You should email evidence of your official sponsorship letter to feesandfunding@surrey.ac.uk prior to registration. You should email evidence of the award to feesandfunding@surrey.ac.uk. Unsure about your funding arrangements? You should attend University registration and we’ll try to answer your queries at the session or follow up afterwards. As an Erasmus or exchange student, you will not pay tuition fees to the University of Surrey. As a postgraduate student you are required to pay a deposit towards your tuition fees, or provide satisfactory evidence of sponsorship in order to firmly accept a postgraduate offer of admission. You are required to pay a deposit of £2,000 towards the fee or, if the total fee for the year is less than £4,000, you are required to pay at least 50 per cent in order to register. For the majority of programmes starting in September/October, the deadline to firmly accept your offer is 1 August. Some programmes, however, operate an early deposit deadline. If you pay the deposit after the deadline, you will still be considered for entry, subject to places being available on the programme. If we have not received your deposit/evidence of sponsorship five working days in advance of your registration session, it may not be possible for you to register on the day. Once we have received and processed your payment or evidence of sponsorship and updated your status to firmly accepted, it will then be at least two working days before your campus card can be issued. If you have been successful in securing a postgraduate loan from the Student Loans Company, please email a copy of the confirmation to admissions@surrey.ac.uk. Please note this loan is not deemed as sponsorship and you remain liable for payment of your tuition fee invoice. You will have your fees paid by SFNI directly to us so we should have been advised by them. If you have any queries about your PG loan from Student Finance Northern Ireland, please contact studentrecords@surrey.ac.uk. 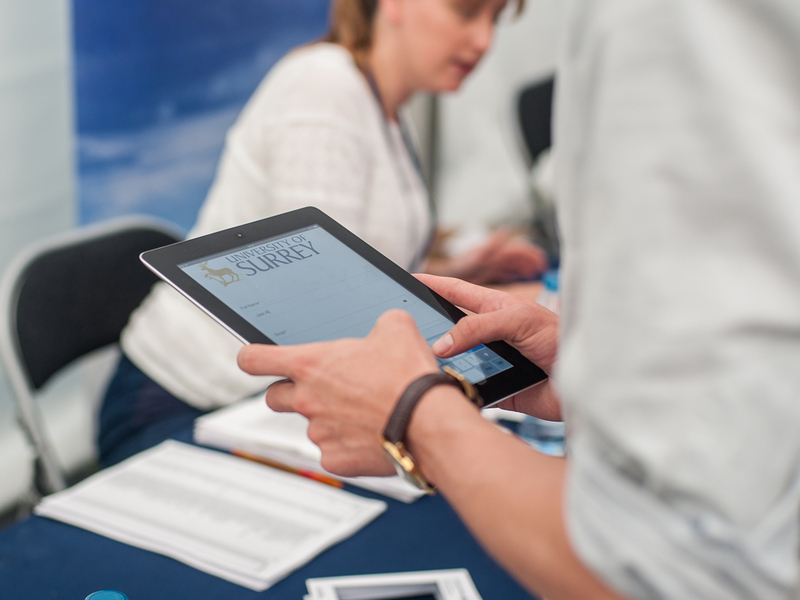 If your tuition fees are being paid by a sponsoring organisation (such as an overseas government), evidence of the award should be emailed to feesandfunding@surrey.ac.uk. You’ll be responsible for paying your fees. You can either do this in advance, or when you have received your invoice, which will be sent to your University email account within a few weeks of the start of the programme. The University should have already been advised if you have had your student finance application approved. Have a note of your Student Support Number with you when you register, in case of queries (a copy of your notification by email will be sufficient). Please make sure that your Student Finance loan application states you will be a Surrey student, particularly if you have applied to Surrey through Clearing. This will ensure that your maintenance can be paid to you as soon as you start your course and your first loan payment can be made to us. If your tuition fees are being paid by a sponsoring organisation other than Student Finance, email evidence of the award to feesandfunding@surrey.ac.uk prior to registration. You can find out more about student loans on theStudent Finance website. Please refer to the Terms of Acceptance received with your offer letter for details on the fees and payment deadlines. Think about paying/funding for your tuition fees. Two scholarships of £3,000 per year for three years are available for students applying to mechanical engineering courses. Application deadlines are soon, so check if you’re eligible to apply and apply now on the scholarships and bursaries website. Scholarships of £3,000 per year for three years are available for students applying to physics courses. Application deadlines are soon, so check if you’re eligible to apply and apply now on the scholarships and bursaries website.